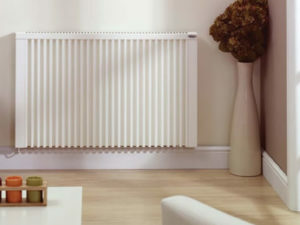 High quality German engineered electric radiators. 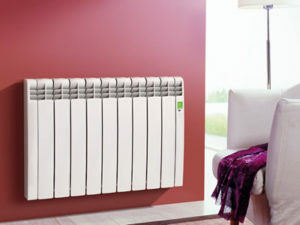 Reliable, controllable instant heat in your home through wall mounted or free-standing radiators. Prolonged heat storage is achieved electrical elements that are encased in fireclay heat plates so heat is radiated for longer and efficiently through specially designed convection flutes. Neat installation, no plumbing or piping an ideal replacement for old storage heaters. High quality radiator units with a depth of just 90mm incorporating flutes that draw in cold air at the bottom radiating warm air throughout the room. Choose from a range of sizes to suit the space and heating requirements of each room. Automatically control the temperature of individual rooms at specific times with a programmable digital thermostat built into each radiator. 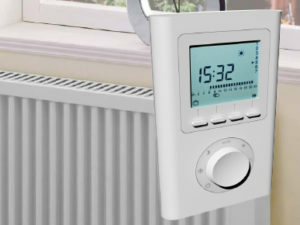 The smart thermostat detects the temperature within 0.2 degrees C, switching the radiator on and off to efficiently maintain the desired temperature.